Democrats Unveil A Bill To Ban Internet Fast Lanes : All Tech Considered Lawmakers are stepping into the ongoing tussle over whether companies should have to pay more for faster Internet service to consumer homes. The bill is sponsored by Senate Judiciary Committee Chairman Sen. Patrick Leahy, D-Vt. and Rep. Doris Matsui, D-Calif.
Net neutrality has become a hot topic this summer, despite its snooze-inducing name. The principle governs that data on the Internet should be served to customers on a level playing field — at the same speeds — without priority for certain companies that might be able to pay for "fast lanes" for content. Now, congressional Democrats want to put a ban on fast lanes, using legislation. A bill unveiled by Sen. Patrick Leahy, D-Vt., and Rep. Doris Matsui, D-Calif., requires the Federal Communications Commission — the authority charged with enforcing net neutrality — to use whatever authority it sees fit to stop "paid prioritization" agreements between broadband providers (like Comcast) and content providers (like Netflix). This aim of the Online Competition and Consumer Choice Act is to make sure your Internet providers don't speed up some types of content (like Netflix videos) but not others. 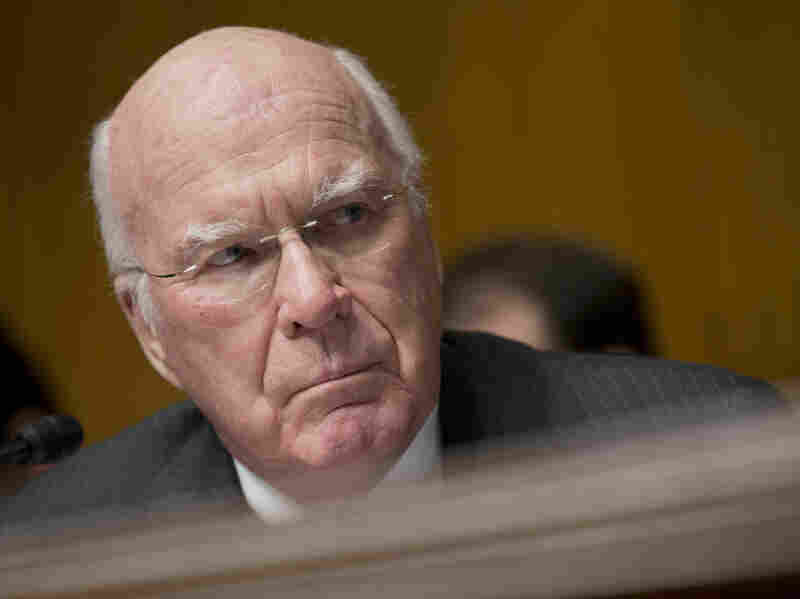 "Americans are speaking loud and clear," Leahy said. "They want an Internet that is a platform for free expression and innovation, where the best ideas and services can reach consumers based on merit rather than based on a financial relationship with a broadband provider." The FCC was enforcing net neutrality before it was struck down in court this spring, after a legal challenge from Internet service provider Verizon. That sent the FCC back to the drawing board, and it's now in an open commenting period on how it should enforce net neutrality. Internet service providers like Comcast and Time Warner support a proposal that opens the door to charge for fast lanes. Critics, who include consumer advocates, Internet companies and Democratic lawmakers, argue this is likely to stifle innovation — leaving out startups that can't afford to pay for faster delivery — and, moreover, quash the notion of a free and open Internet. "The fact that Republicans control the House [makes] it unlikely that the Leahy-Matsui bill will advance very far. Still, the politics of net neutrality are obscuring the underlying economics at stake, according to [a Democratic] aide, who asked not to be named because he wasn't authorized to speak publicly.
" 'People are missing the point,' the aide said. 'The point is: Ban paid prioritization. Because that'll fundamentally change how the Internet works.' "